Greenbush Associates is a family and locally owned and operated commercial building and leasing company offering properties in East Greenbush, New York. 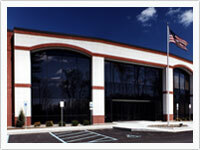 We have been offering better business spaces and custom offices in New York's Capital Region for close to a decade. Established in 2000, the staff of Greenbush Associates has a combined experience of over 50 years of building technology enabling us to meet or exceed your building or commercial leasing needs. Our buildings feature state of the art technology, lush, comfortable environments and office space that is easily customized to fit your needs. 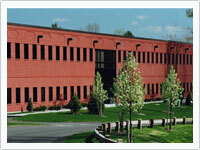 Our high tech facilities in the prestigious East Greenbush Technology Park are situated in a naturally wooded setting for year round enjoyment. Our company is built on our commitment to customer satisfaction with such diverse and esteemed clients such as Autotask, Phoenix Life Insurance Company, Marriott Hotel Corporation and X-Ray Optical Systems. Our combined years of experience allows us to offer you diversity, flexibility and creativity in your building or fit up plans, while staying in your budget and meeting your schedule, without ever compromising on quality. Greenbush Associates can provide you with the finest service at competitive pricing. 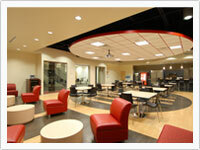 It is our pleasure and our passion to make sure your office space or new building is even better than you imagined. 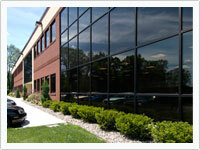 Greenbush Associates is your best solution for building or leasing your ideal office / research facility.